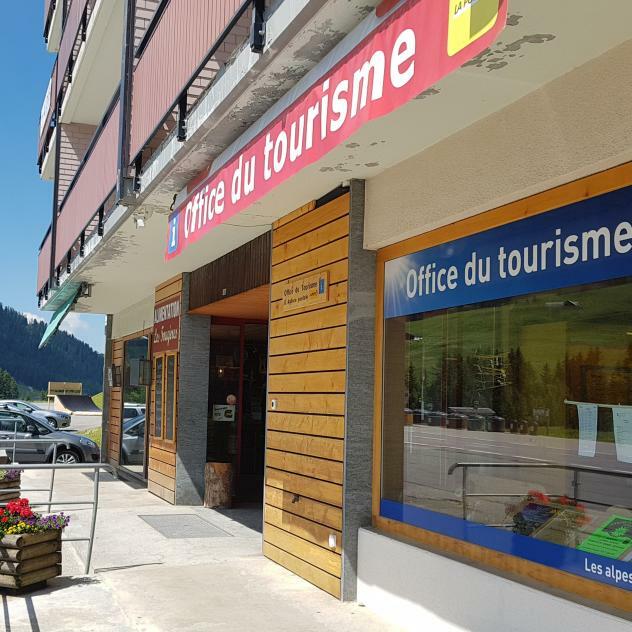 This trail links the village of La Lécherette to the Monts-Chevreuils hut, a spectacular route with stunning views of Lake Hongrin and the Pays-d’Enhaut valley. 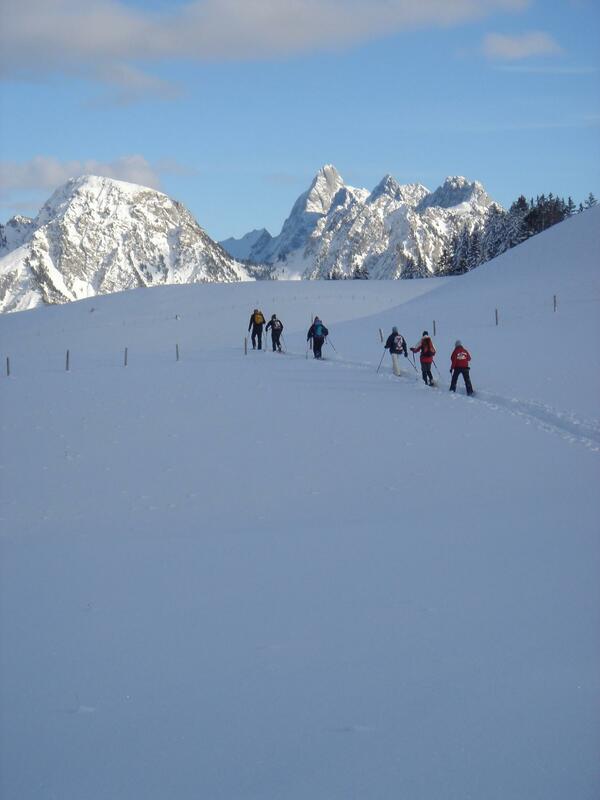 This snowshoe trail starts at the village of La Lécherette and climbs to the top of Les Monts-Chevreuils at 1,749 metres. It’s a tranquil climb on a groomed trail, allowing the time to admire the gorgeous scenery around you. At the halfway point, Lake Hongrin and its imposing dam come into view before the final ascent. Then, below, the Monts-Chevreuils hut offers a splendid view of the villages of Les Moulins and Château-d’Oex, where you can see the famous Le Temple hill. A meeting point for winter sports enthusiasts, this hut is a very popular place for sharing anecdotes and experiences. From the hut, you begin a slight descent back to the starting through pastures and forests. For a great adventure, try it out at night on a full moon with a head lamp. The trail is only marked in a clockwise direction. Snowshoes can be hired locally.